Happy New Year, my friend. It has come to my attention that it's been half a year since I last wrote to you. I can't do much about that other than give you the shortest possible version of what has happened since. Cowork Klitmøller had a good year in 2017. At least, that's my impression. I get things done and, at the same time, am having a lot of fun. From what I can see, this applies to the rest of the residents and beta-residents. Coworkers at work - that day: standing from right: Leah Damgaard-Hansen, Troels Schwarz, Karl Johan Møller Klit, Benthe Boesen, Morten Gorm, Rasmus Johnsen, Mette Johnsen. In front from left: Anders Hastrup Knudsen and Jens Therkelsen. Anders is now a resident. 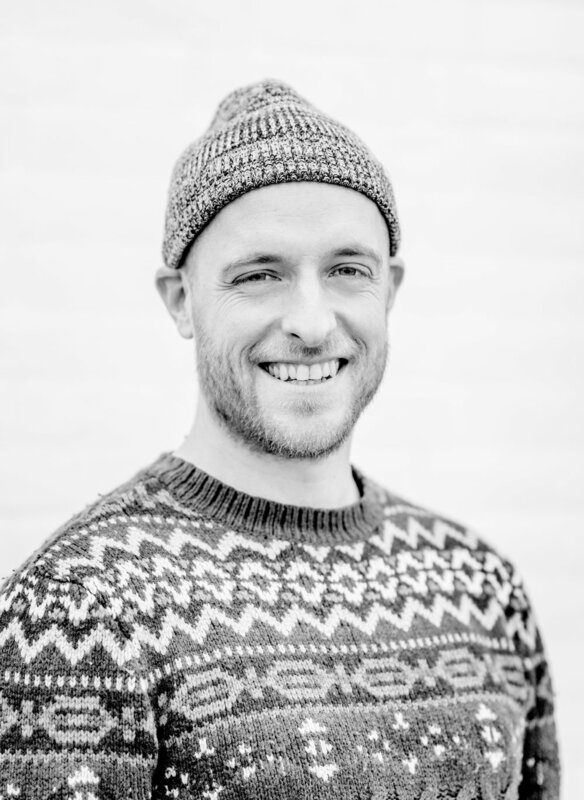 Anders is a surfer and has moved to Klitmøller with his wife, Sophie, and two kids, Thomas (1 year) and Theodor (4 years). He is a creative director for Enterprise Rent-A-Car. Likewise, Karl Johan recently became a resident. Karl Johan grew up in Thy and so moved (back) from Copenhagen, together with his wife, Malene, and likewise two kids, Viggo (2 years) and Anker (6 months). Karl Johan is completing a Ph.D. at the University of Copenhagen. Finally, we've been blessed with about 160 beta-resident rentals in 2017 (since launch in April). On January 1, 2018, Mads became a resident. Mads has just moved to Klitmøller. He's a former professional mountain biker. He's the founder and operator of the MTBakadamiet. Mads is about to write a book about mountain bike. On April 1, Sofie will also become a resident. She's a surfer, and for several years, she has been a frequent visitor in the area. I've known Sofie for some years and enjoyed working with her during the Cold Hawaii PWA World Cup. Her first project as a resident is to write a book about the development of the Danish surf culture. To be honest, I feel super privileged and, quite frankly, proud that what we've set out to make has turned into a such a beautiful place and, best of all, a bunch of beautiful people that I'm looking forward to spending time with each day. I hope to see you (again and again) in 2018. There you have it: the short version. We have now been up and running at the new Cowork Klitmøller since April 3. It's an exquisite feeling. The rooms are tuned in, and the place is working well. We're approaching operation mode. You should try it to see if it turns on your sense of belonging also. We have eight chairs for beta residents, which have already been used quite often. It's easy to book a chair, and the price is fair. OPENING HOURS: 8:00 - 21:00, 7 DAYS A WEEK. We have a good video conference system and are considering purchasing a green screen so you can have anything in the background. That way no one can tell that you aren't at your usual location. We have ... maybe not amazing coffee but we're working on it -and shared lunch approx. at noon. Bring some food, and remember: we share what's there. I think the best word to describe the place is: homely - or at least that's how we feel, and what many say when they visit the place for the first time. We are 11 residents in the house: a graphic designer and a clothing designer, another graphic designer, a photographer, another photographer, a moviemaker, a chief project manager from Cowi, a musician, a creative director at a local clothing company, a manager at a home for kids with special needs and – well – me. We have held the first two Friday bars. As it turned out, and lucky for us, the place is also suitable for that. The next Friday bar is 21st of July. Come by! Surfjoint (the biggest surf party of the year) is on Saturday 22nd; that's a perfect two in one. By the way, The opening on April 1 went amazingly. If you were not there yourself, you can share the memories through the pictures from the opening day. We wish you a good summer and look forward to seeing you at Cowork Klitmøller. It feels like the shortest winter - ever! This is probably because we have been working our butts off. At the moment, we have 97 photos of the process. You can find them here. 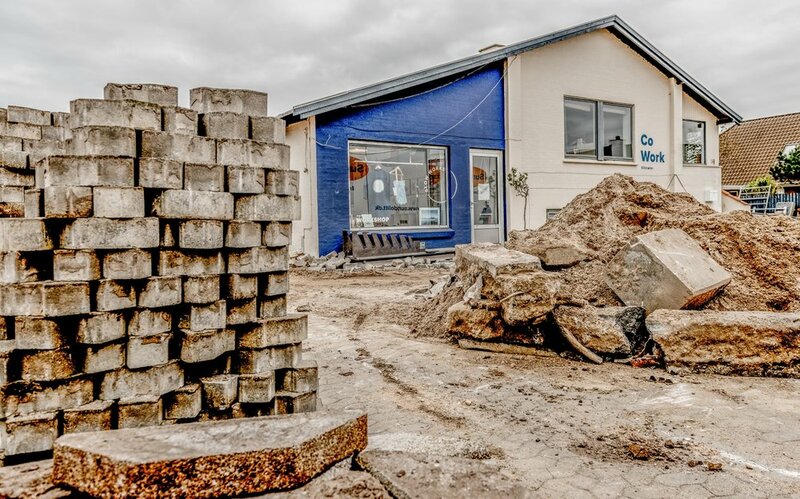 Soon, we'll open the doors to the Guest House and Cowork Klitmøller. 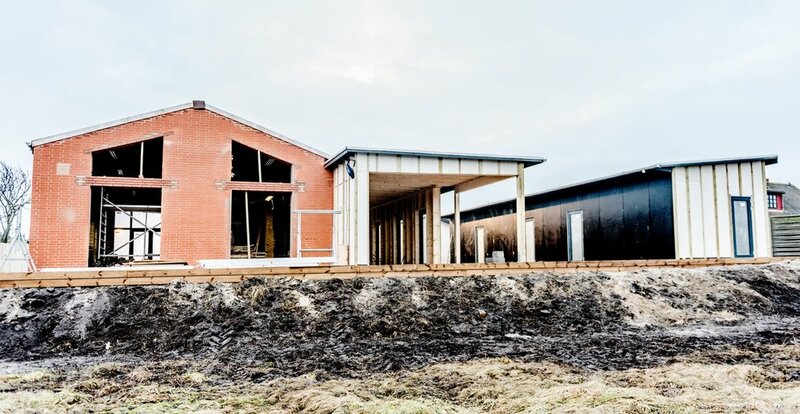 Opening day is April 1st, Ørhagevej 84 in Klitmøller, at 2.30 p.m.
We'll be there in our fanciest clothes, with open arms, as proud as we can be and ready to show you around. We've done our best, but it is possible that we have forgotten to put everyone that ought to be there on the list. So, if you're talking to someone who you think should be on it, by all means, bring them along. It's an open house. + anyone who wishes to contribute something that we can swing, sway, and bounce to is welcome to chip in. Nb: The Friday Bar on April 17th has been cancelled in favour of the opening on April 1st. Det eneste billede, der blev til noget. Fra venstre: David, Tina, Victor og Søs + en masse andre - og yep, det ér Louise med mikrofonen i baggrunden, og så er der næsen i nederste venstre hjørne: Benthe Boesen (ingen julefest uden et billede af smukke Benthe). Kære gæst, vi håber, du har haft en fantastisk jul. Havde du røde kinder, da du vågnede d. 18/12. Tænkte du: åååh, nej, det sagde du bare ikke, det skete bare ikke (Lars Krimi), så husk: man skal aldrig skamme sig over at have bidraget til festlighederne. Du var super sej. Vi vil gerne sige 1000 tak for en fantastisk julefest. Hvor var det sjovt, og hvor vi dog håber, at du kommer eller kommer igen til næste år, som er d. 9/12, 2017, kl. 20.00 på Ørhagevej 84. Tiden går. Cowork Klitmøller julefesten 2016 er historie. Inden, vi ser os om, er dén i lighed med så meget andet en del af ‘dengang’ eller ‘gamle dage’. Det bringer os til årets tema, som var: hvad husker vi om 20 år ved 'lige nu', som til den tid vil være dét, som var meget bedre dengang (?). Tag listen for, hvad den er. Den bærer præg af, at baren var åben, da vi lavede den. Rå og uredigeret. Byg selv videre på den. Hvor Troels endnu ikke var fyldt fyrre – dengang var der folk på hans alder, som var yngre end folk på Rasmus’ alder. Hvor smadremanden tog Cecilias cykel. Hvor Mai var den, der for alvor havde indset, at The Enormous Sea ville blive til noget stort. Hvor den arrogante bager slet ikke var arrogant men en lille lækker feature, som kun få kendte til. Hvor Chrissy lånte Kesses Hus og kickstartede julehyggen i Klitmøller med hjemmelavet gløgg, kakao og kanelbomber. Hvor Robert (ved særlige lejligheder) var overbevist om, at Kristellas tatoveringer var midlertidige og derfor nemt kunne slikkes af. Hvor Peter Alsted var Klitmøllers svar på Jarlen. Hvor Simon imponerede os alle sammen - inklusiv Thomas Treo. Hvor Surfjoint samlede tæt på 1000 mennesker og slog alle rekorder. Hvor Rowdy fik 300 mennesker til at hvine til en akustisk udgave af Nik & Jay. Hvor Finn tog initiativ til (den første?) Oktoberfest i Klitmøller. Hvor Vorupør fik VM i SUP. Hvor Cold Hawaii PWA World Cup (måske) blev afholdt for sidste gang i Klitmøller. Hvor ‘Hanstholm Madbar’ blev årets (uofficielle) ord i Thy. Hvor Klitmøller Spejderne blev årets forening. Hvor Louise sang Hit the road Jack - ud af det blå og noget så dejligt. Hvor enhver rask dreng i Klitmøller - fordi Kristella havde sagt han skulle - havde læst bogen Kussens Katedral. 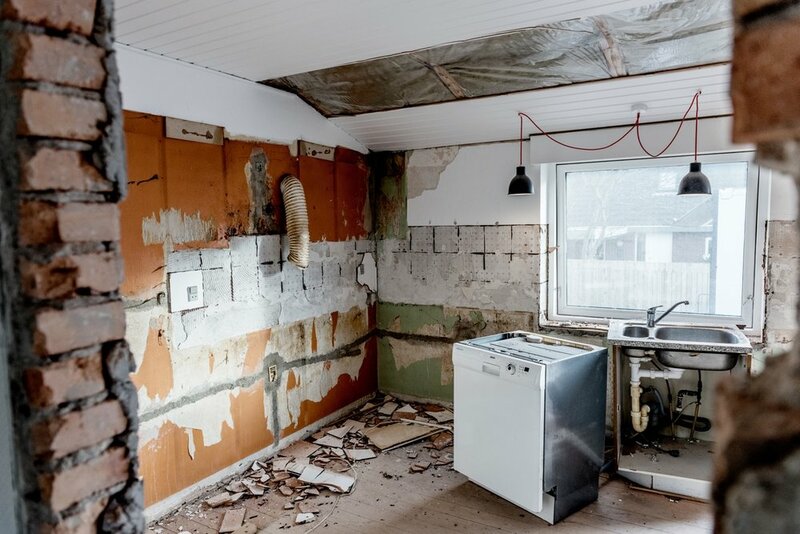 Hvor Bardram & Søn var en lille familievirksomhed med tid og plads til en enkelt om fredagen. Hvor (pandekage) Mai satte kobbertagrender på sin nye garage. Hvor Kurt var manden med byens flotteste sølvhår. Hvor der lå en orange båd i Andrees have. Hvor Rasmus & Rasmus tog kansasbukserne på. Hvor Casper var en ung, vild verdensmester – med horn i panden og hang til at kaste (helt) fyldte cocktail-bowler på gulvet. Hvor godt 100 smukke mennesker festede igennem til julefest i Cowork Klitmøller. Hvor julefesten på blev en tradition. Hey! Det ser faktisk ud til, at ‘nu’ ikke ringere end ‘dengang’ - om 20 år. Listen med årets fredagsbarer følger, senere. We have been working (a.k.a. 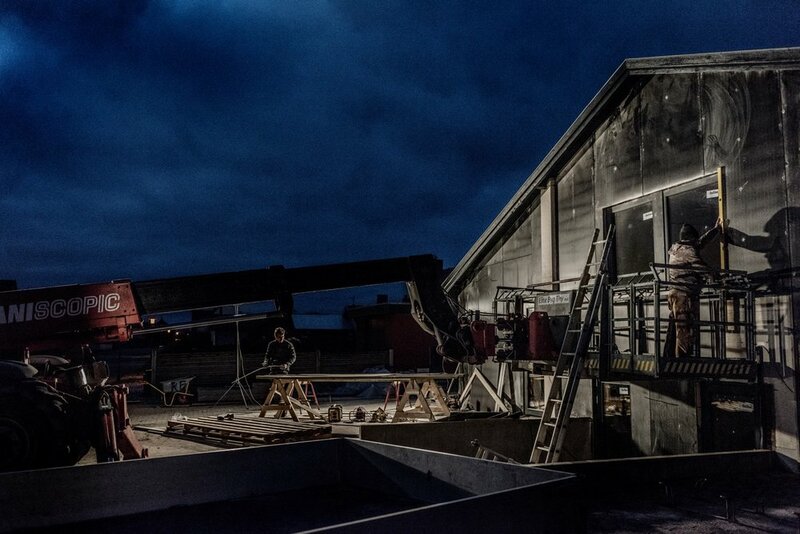 practically lived on the building site) for nine weeks, and the project on Ørhagevej 84 is beginning to take shape. Fortunately, we haven't encountered major obstacles; everything is (knock on wood) going according to planned. The result is, in our humble opinion, fantastic. 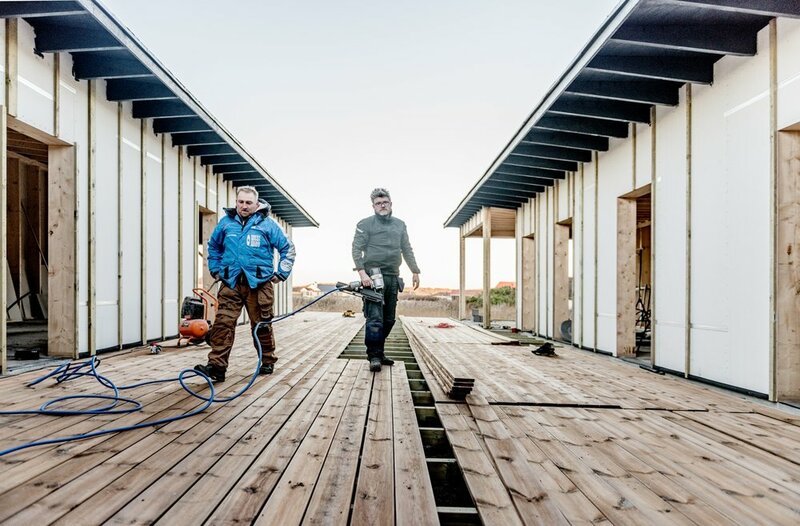 At the beginning of January, Fejerskov and I will continue to work on the outside of the building for around one-and-a-half weeks; the rest of the team will move inside. We will join them in the middle of January. There, we will work round the clock until the beginning of March when you'll receive the next update. It is still the goal to be finished by Saturday, April 1st for the official opening day and party. You may put that date on your calendar. Klitmøller beach - which by the way is only a few hundred meters from Cowork Klitmøller. By Kaja Skytte (beta-resident and founder of Plant Planets): I left Copenhagen in June to spend a couple of weeks as a beta-resident at Cowork Klitmøller. What I experienced was an old mechanical workshop transformed into space with thriving ideas and a lot of good energy. I ended up spending three weeks at Cowork Klitmøller. Cowork Klitmøller is, first and foremost, a creative place. The catalyst is – I think – a community based on the desire to help out. In short: The vibe is just really good. The people there, more or less, immediately started throwing new ideas at me, and before I knew it, I was throwing just as many back. Often, the exchanging of ideas happened during lunch but could just as easily happen when I – being a bit drowsy – showed up for the day's first activity. I never really knew, and that was part of what made it so exciting. I quickly – and much quicker than expected – became part of the community I had dreamed of: A lovely creative community with mixed creative businesses and a lot of courtesy; I even joined a small group of morning bathers. I met people with whom I became friends. During the entire stay, I had sand between my toes. Together with one of the residents, Troels Schwarz, I changed the graphical identity of my company. 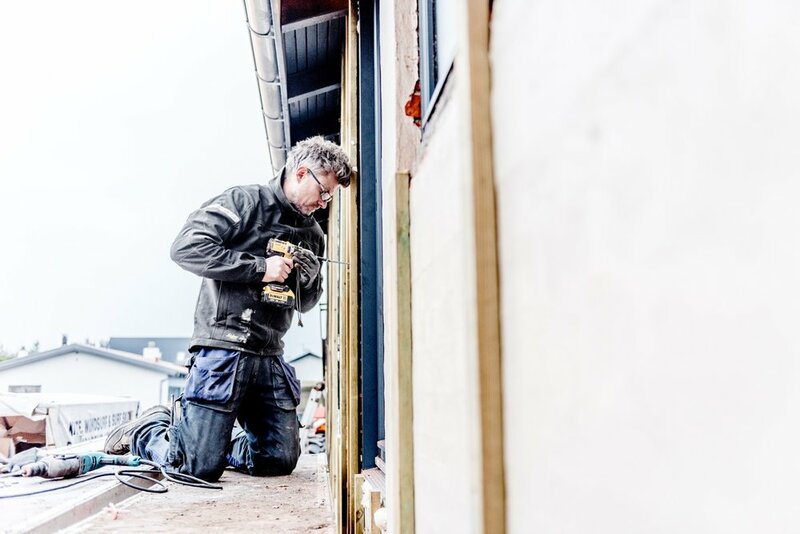 Together with his wife, Benthe Boesen, Troels is also the founder of Slow Works, which is one of the beautiful initiatives that grew out of Cowork Klitmøller. Slow Works is a sweet little design shop located in a separate room but in the same building as the actual coworking space. I was inspired by the amount of thoughtfulness that Troels and Benthe put into their design and their ability to not make the mistake of overproducing. The indigo blue colour is consistent and a gentle reference to the ocean. My Plant Planets and the Galaxy Globe are now part of the inventory in their shop, and they are listed as my first West Coast dealer. All of the creative people at Cowork Klitmøllera and the exceptional initiatives that are happening in and around there give me a strong desire to return there. Thanks to everyone, and especially to Troels, Benthe, Peter, Mette, and Rasmus for the kindness and courtesy they showed to the girl from Copenhagen, who came to Klitmøller without knowing anyone or anything and left feeling like a part of something very special and valuable. This man – wrapped in a 20-ton excavator – just tore down a third of Ørhagevej 84. Friday evening we removed everything stored in the back of the building at Ørhagevej 84. Saturday morning two guys came in with some heavy machinery and started tearing down one-third of the old building. We're indeed rebuilding the place. On October 3, we start laying the foundations for the two new buildings, facing north. It feels great. Four hours earlier there was a building here. 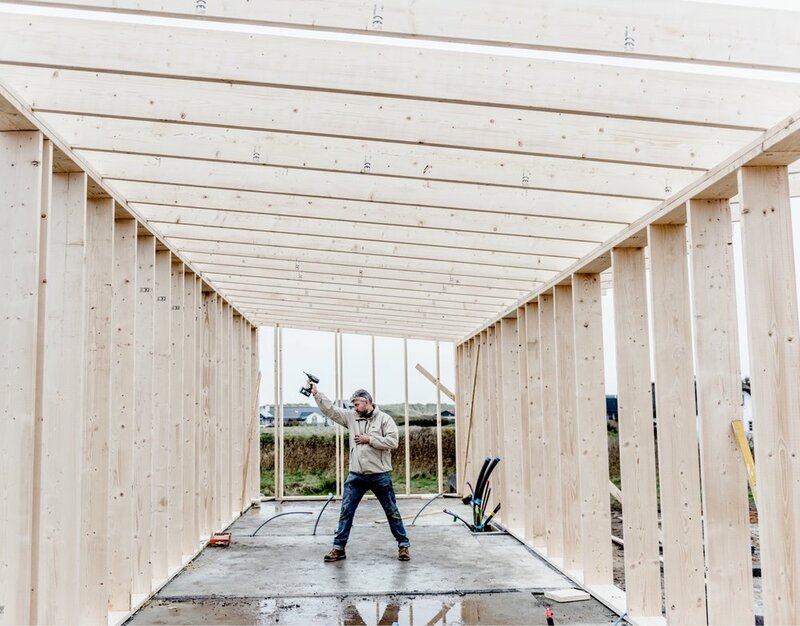 On October 24, we move Cowork Klitmøller to Ørhagevej 185. The place is located 25 meters from the surf house at the tip of Ørhage, so it's not bad. We'll be staying until April 1, when we move into the new building at Ørhagevej 84. To make things easier, we've made an online booking system. We look forward to seeing you in Klitmøller. Our good friend, Mathias Nielsen, helped us move everything from the back of the building. 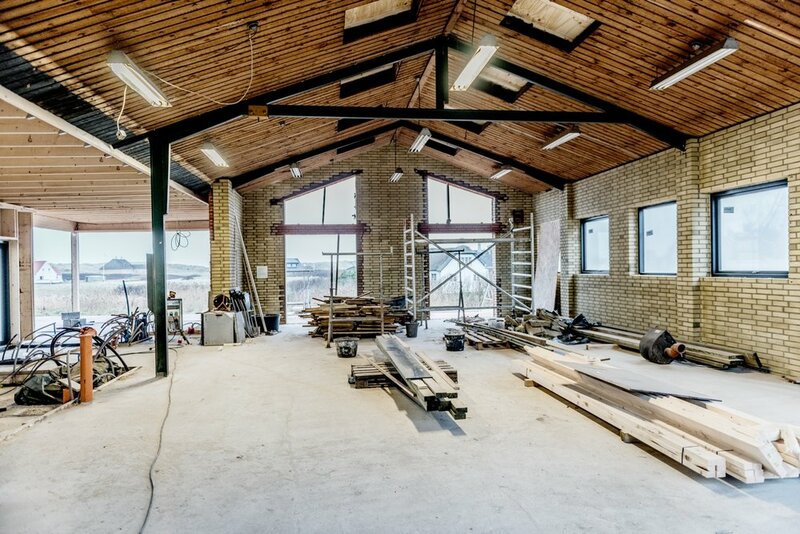 The new Cowork Klitmøller will be ready for use in Spring 2017. 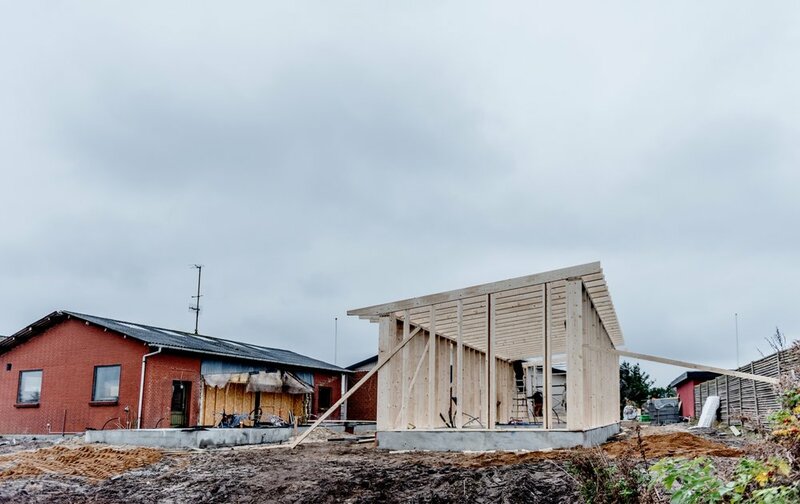 We are happy to announce that the Guest House Klitmøller and thus ten quality double rooms will be part of the building. Admittedly, it's been awhile since you've heard from us. It's a matter of priorities. We have chosen to spend the time figuring out and establishing the right model for the project. We're convinced that we've found it. From now on, you'll hear a bit more from us. Hence, the Matchmaking Zone is a place we can meet, connect, think, share and create things together. The purpose of Matchmaking Zones is thus to create value through relationships by providing the best possible conditions for support and cooperation and, above all, the (new) products and services this generates. Flea market in front of Cowork Klitmølle - on a sunny afternoon, Spring 2016. We're looking forward to seeing you in the new building. Until then, it’s already possible to visit us. It may be as a (short-term) tenant, during one of our Friday bar, or just as someone popping in to say hello. If you’re the latter, please come around midday - that's when we have lunch. There’ll probably be a bite for you, and we’ll have more time to talk. Things take time – sometimes a lot more time than expected. We took the first serious steps in developing the idea of a matchmaking zone in Klitmøller, in 2013. From 2013 to 2014, we participated in a contest organised by Realdania. 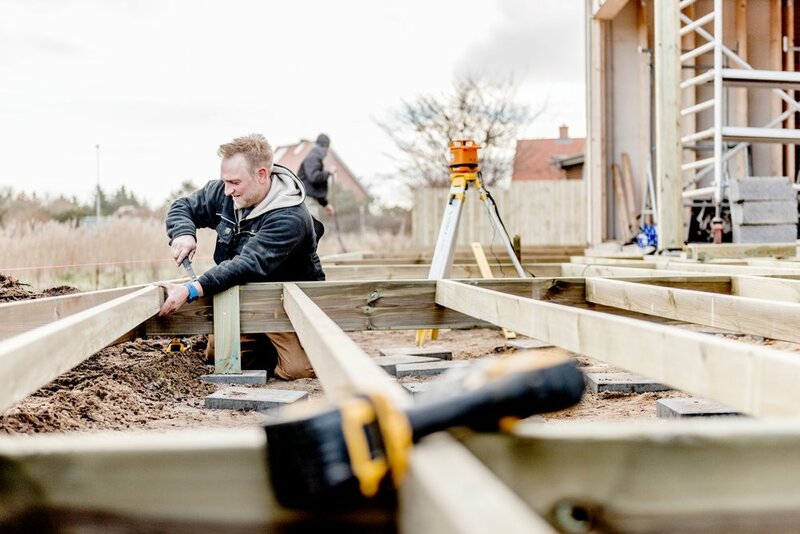 The process culminated in the fall of 2014 when the project received five million kroner (672247 Euro) through the program 'Place Matters'. 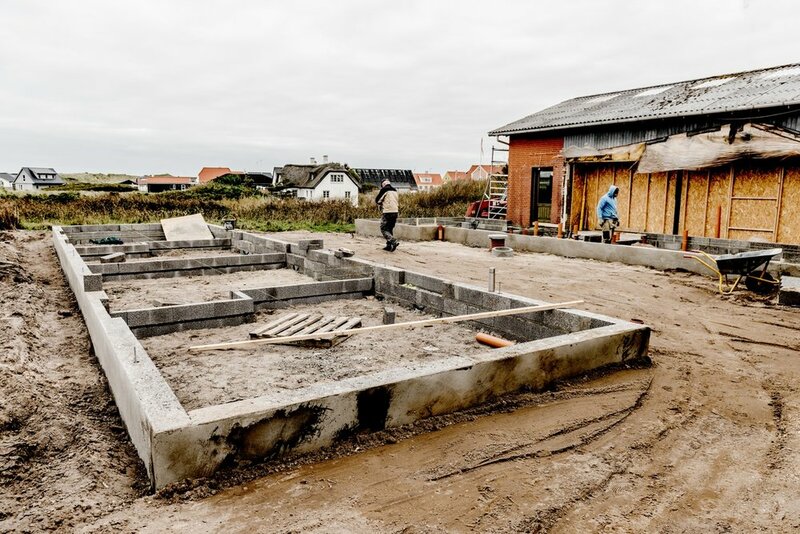 At the time, that was equal to 70% of the total budget for a building that was supposed to contain the first matchmaking zone in Denmark. By Autumn 2015, we had managed to raise the remainder of the financing. We had found and negotiated the price for a piece of land, applied for planning permission, and established a business relationship with Ramboll, as the overall consultant on the project. Let it be said: This sounds (a lot) easier than it was. As it turned out, we needed a dispensation for the town planning regulations to be able to use the piece of land for the purpose of a matchmaking zone. It turned out to be harder than expected. 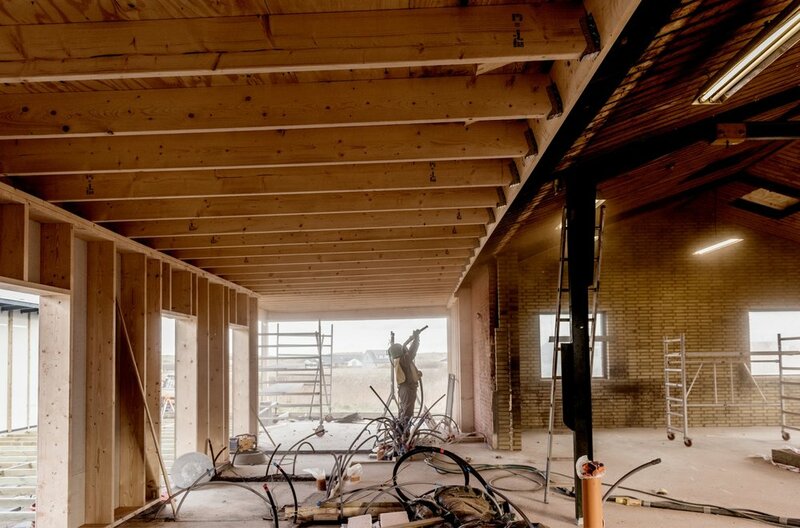 In fact, we ended up in a situation where we could expect negotiations for up to 12 months including (a lot) of writing back and forth before we could start building. 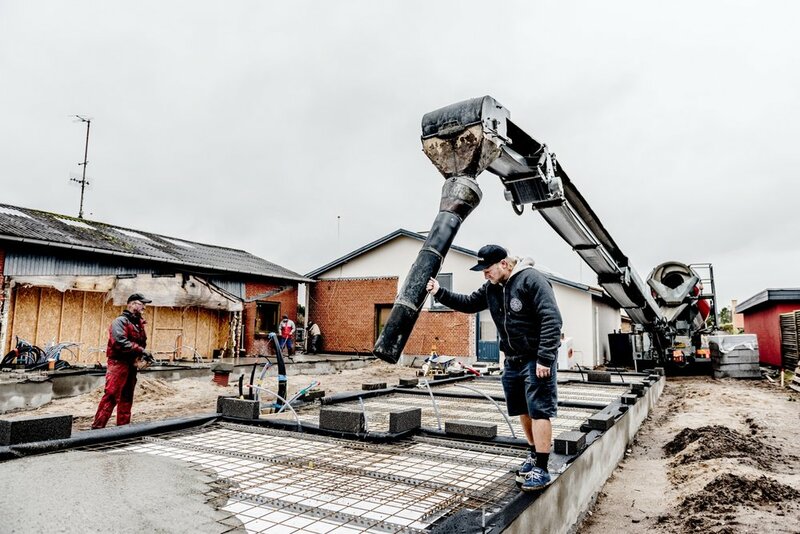 At this point, the circumstances of the project had pivoted from being about bringing good people with a heart for Klitmøller closer together to something that, most of all, was a struggle to realise a very complex physical construction. We were in a crisis and seriously considering throwing in the towel – ultimately for practical reasons. All work related to the project was voluntary and eating up so much time that not enough was left to earn the money needed to survive. There's a good chance that that was what I was thinking about one morning on my way to work at Ørhagevej 84. This is the place where the current Cowork Klitmøller is located. Up until the beginning of 2014, it served as the workshop for the local car mechanic. I'm Rasmus Johnsen. I was the first to introduce the idea of a matchmaking zone in Klitmøller. I'm an old windsurfer and have lived in the village since 2006. Together with the local surf club, I created the first masterplan for Cold Hawaii. Since then, I've been involved in several projects in Klitmøller. Among other things, I've helped organise the Cold Hawaii PWA World Cup since 2010. Family selfie: from left – me, next to me my wife, Mette. Above her our son, Ejner, to the right our daughter, Ingrid (the elephant's name is Bodil). Outside the building, I met Rasmus Fejerskov. Fejerskov is the owner of Westwind Klitmøller and has lived in the village since 2004. He told me that he was thinking about buying the building at Ørhagevej 84 with the aim of repurposing it for a guest house in Klitmøller. Rasmus Fejerskov together with his wife, Helle. Helle will be in charge of Guest House Klitmøller once we're up and running. I explained our situation to Fejerskov. It turned into a longer conversation, which slid into an agreement that the combination of accommodation and an open coworking space could be the perfect cocktail. After that, things moved quickly. It soon became apparent to us that we both wanted to pursue a partnership. I included the other coworkers. Everyone supported the idea. For a few days, we considered the pros and cons. The pros won, and Fejerskov and I decided to join forces. Up to that point, Cowork Klitmøller had been a non-profit association. It isn't anymore. Instead, Fejerskov and I have founded a company called Ørhagevej 84 ApS. We each own 50% of the company. 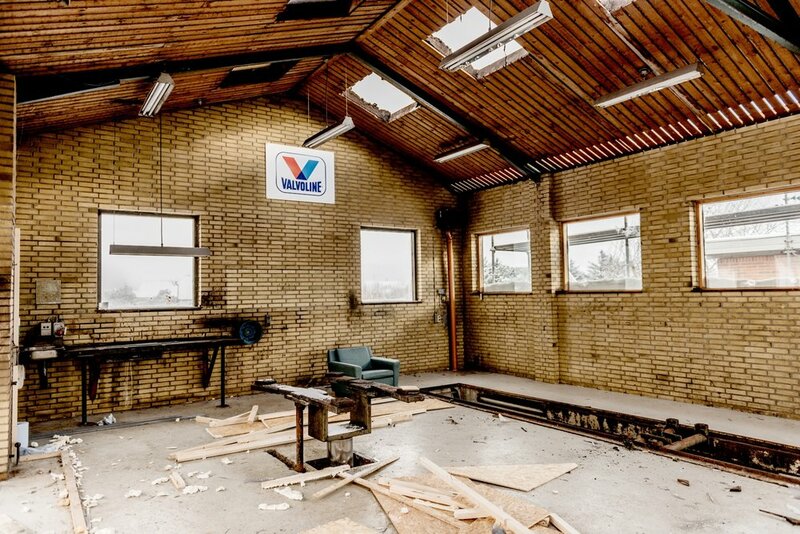 Through this company, we bought the old workshop at Ørhagevej 84. Up until the beginning of 2014, Ørhagvej 84 served as the workshop for the local car mechanic. On my left (with the gray beard) is Jørgen Beck, the mechanic, who previously ran the workshop for 35 years. 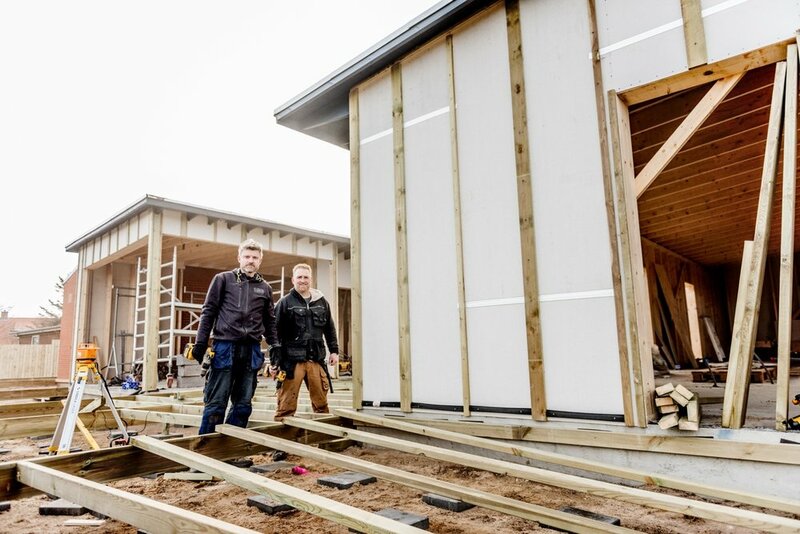 The garage, we're standing in, will be turned into the new Cowork Klitmøller. 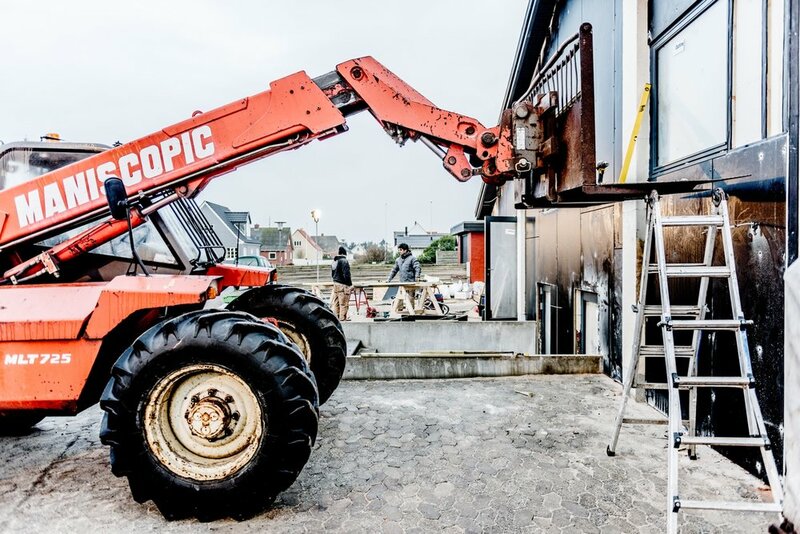 The company is the focal point for the renovation and reconstruction that will convert the building into the new Cowork Klitmøller and Guest House Klitmøller, which will start in late September and be completed by April 2017. 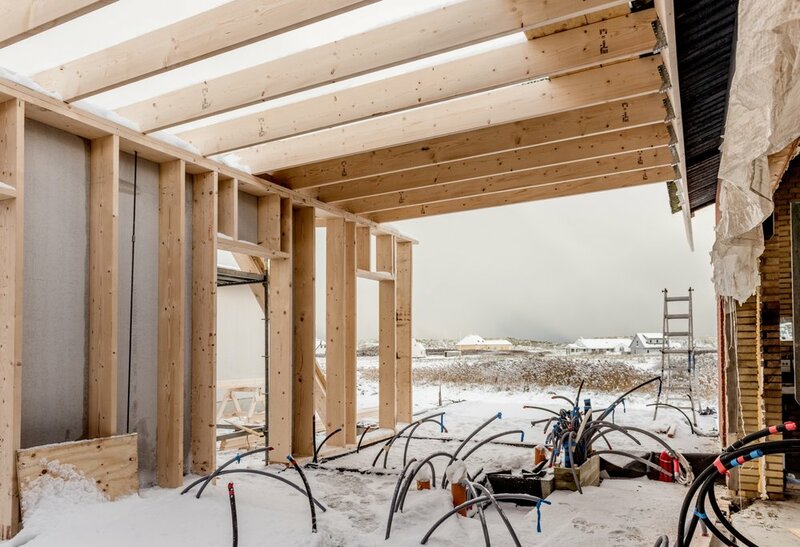 From then on, only basic building operations will be done through Ørhagevej 84 ApS. 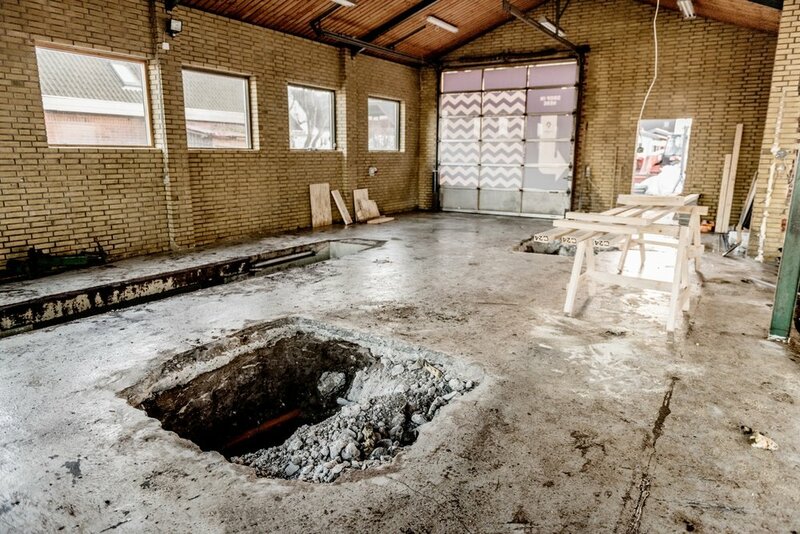 I'll rent 40% of the building, and this part will become Cowork Klitmøller. The people who rent a space at Cowork Klitmøller, will, in essence, be my tenants. 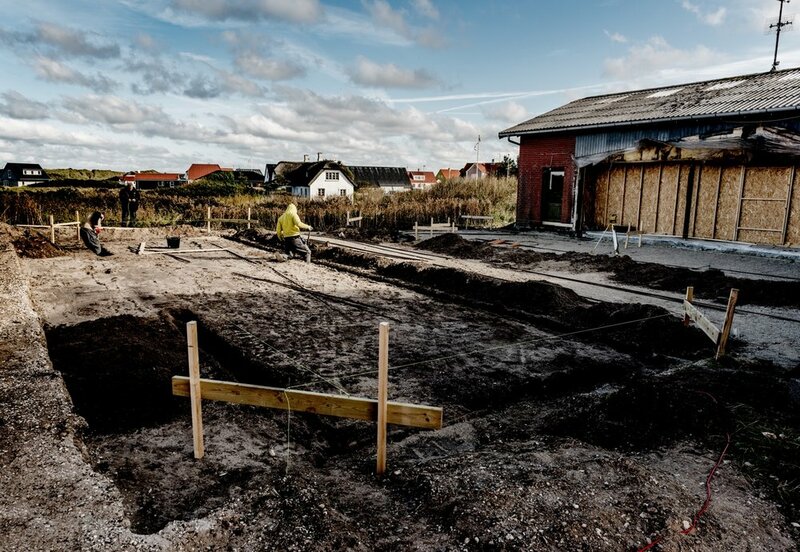 Helle Fejerskov, Rasmus Fejerskov's wife, will rent the remainder, and this part will become Guest House Klitmøller. The people who rent a room there will be her tenants. Light blue is reserved for Cowork Klitmøller. 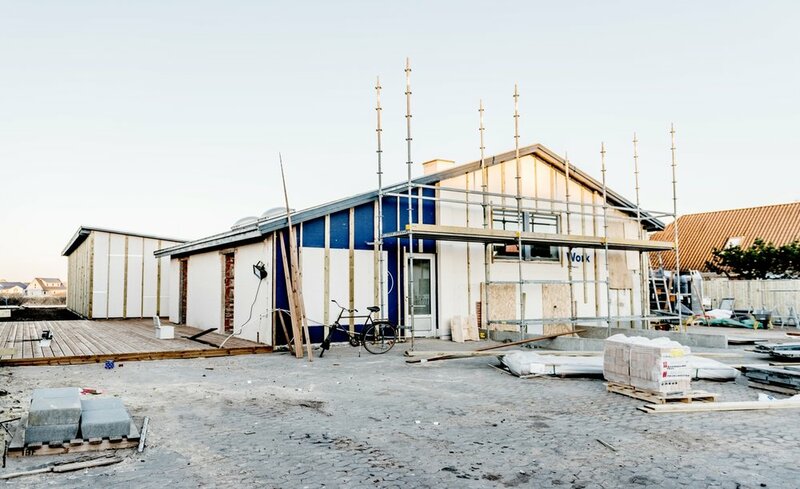 Dark blue is reserved for Guest House Klitmøller and thus ten quality double rooms will be part of the building also containing Cowork Klitmøller. It's gonna be awesome. Right = south, facing Ørhagevej. 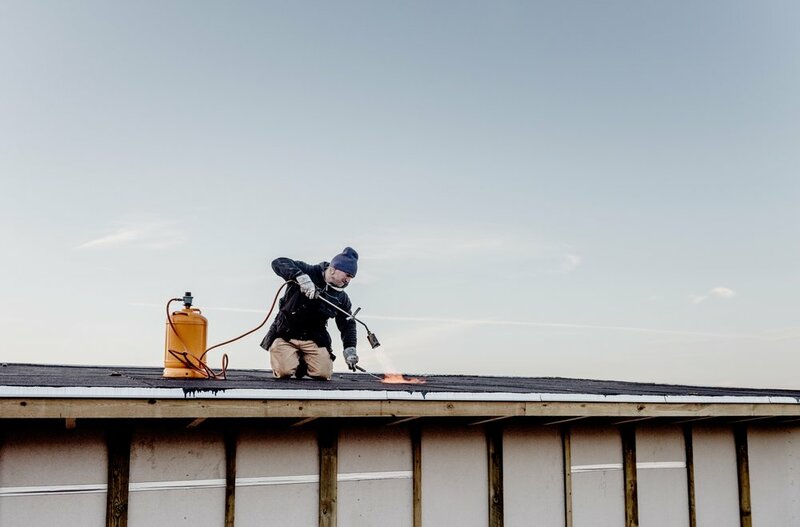 In other words, Cowork Klitmøller and Guest House Klitmøller will be two different businesses working closely together. Realdania doesn't support what – after all – are “for-profit companies”. For that reason, we withdrew from our engagement with them. Furthermore, we didn't buy the aforementioned piece of land – and finally ended our collaboration with Ramboll. Letting go of 5 million DKK was easier than expected. Also, we let go of 600.000 DKK (80690 Euro) from the Færch Foundation. Remaining is 350,000 DKK (47000 Euro), which we're grateful to have received from Fisheries Local Action Group. Everything else is our responsibility. 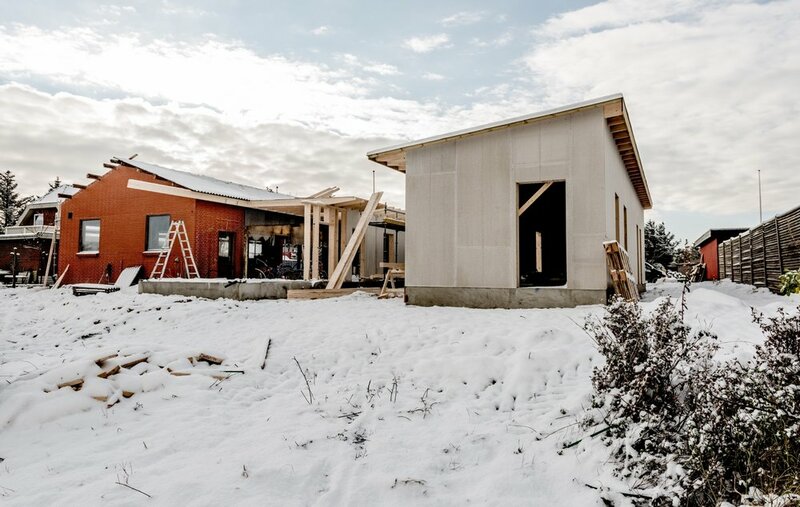 In exchange, we now have the freedom to manage the project and thus to focus on what we believe will become a cosy, warm-hearted, and super exciting place in Klitmøller. 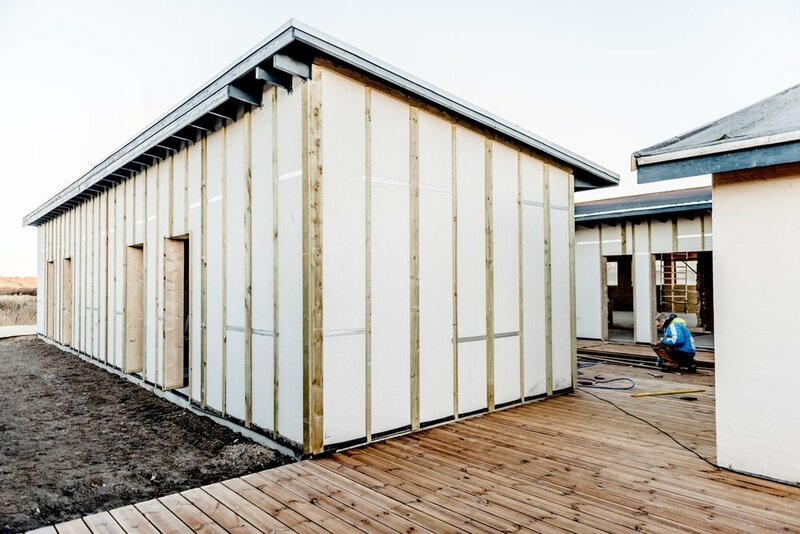 The building will be simpler and less expensive - but still very nice. The original idea is the same. So are the values. The main driving force will be the things we all bring to the place. We hope to see you in Klitmøller – again and again. Sing along during the legendary Cowork Klitmøller Christmas party (2015). Starting left, in the foreground, Anna Thorsager; behind her (right), Anne Werner; behind her (left), Benthe Boesen; to her right, Troels Schwarz; on his right, Tommy Røsholt; on his right (in the foreground), Marianne Søstrøm Storm; behind to her right, Anette Balker; to her right, Tina Bach; to her left, Susanne Steinfath; to her left, Berit Hansen; in front of her, Therese Thomsen. Playing was Heine Thomsen. What a lovely bunch of people! The guy in the jacket – well, that's me. 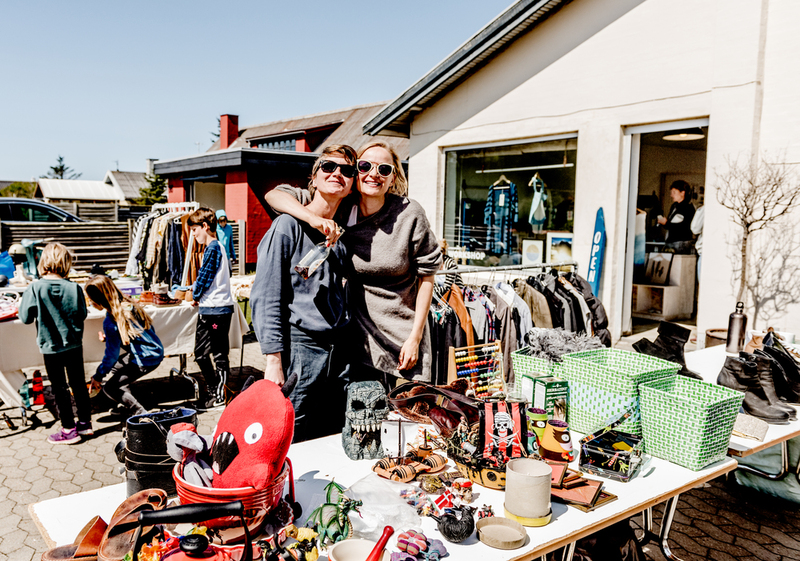 Some time ago we spent a Saturday at a flea market in front of Cowork Klitmøller. It was a pleasure. A lot of people, much more than we had expected, showed up. Some came to sell; several came for shopping, many came to taste the oysters and Cold Hawaii beer. Big up to all that came and helped make this day super cozy. See you at the next Cowork Klitmøller Friday bar. Our in-house photographer, Mette Johnsen, took some pictures. Our local, formerly full-time chef, Christian Poul Petersen, served oysters from Limfjorden along with Cold Hawaii beer. The sun shone, and before we knew it, lots of people had arrived. Rumour has it that Tina works for the Danish secret service. For this event, she was a taxi driver and took potential troublemakers away. Ava accepted payment at the skull table.